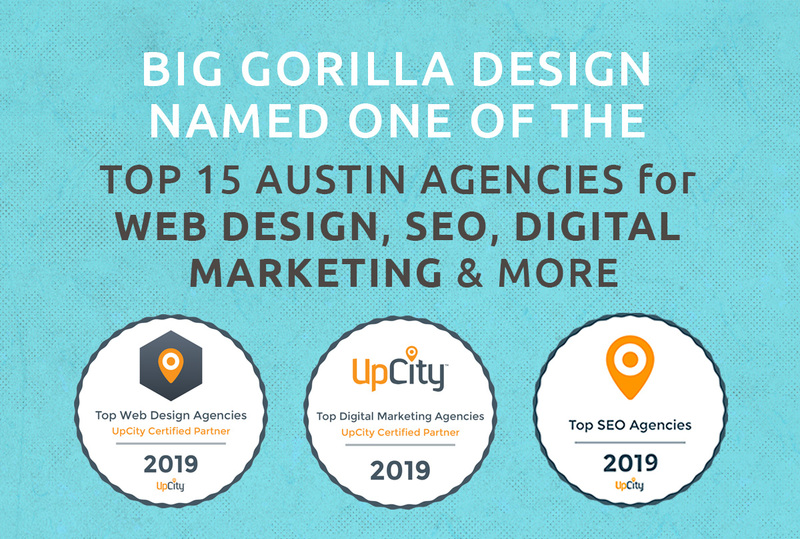 Top Web Design Trends for 2019 | Big Gorilla Design is also trending away from flat colors and embracing the use of gradients. A gradient is the gradual transition from one color to another, or from one shade to another. In website design, it’s used to create bold statements, depth and 3D elements. Search the Internet and you’ll notice than many web designs are utilizing gradients in creative, attractive ways. Pitney Bowes, Instagram and Spotify are just a couple of companies hopping on board the gradient trend. Click here for an example. Adding movement to your website adds instant visual appeal for users. That’s where background videos, custom html animations, scrolling effects and animated GIFs come into play. While you may think of as those LOL animated images shared throughout the Internet, these animated graphics are a powerful tool in the right context. GIFs can add a sense of interactivity and eye appeal to websites. Done right, they can convey complex ideas in a short period of time while being engaging and entertaining. For a long time now, website design has been focused on designing within a set grid system. This allows designers to manage alignment and consistency through their work. However, designers are increasingly beginning to break outside of the standard grid and opting for asymmetrical layouts instead. Asymmetrical design contains elements that don’t create a mirror image. There are several perks to using asymmetry in design, including evoking movement and feelings and grabbing attention to bring the viewer’s eye to the focal points. As web designers, this gives us more creative freedom to develop intriguing layouts that’ll ultimately help our client’s business or brand stand out from the masses. Click here for an example of a homepage designed in an asymmetrical design. Once you’ve caught the attention of users with a visual “wow” factor, having user-friendly features is essential. Chatbots (or virtual assistants) are software applications designed to make you feel as though you’re talking to a real person. Brands and businesses are increasingly using bots as a customer service tool; chatbots can answer questions, provide information, book appointments, solve problems and even help consumers make purchases. They provide greater convenience by giving users instant responses and directing them to the appropriate contact based on their issues. Despite some early growing pains, chatbots are getting more sophisticated all the time. Popular brands such as Sephora, Starbucks, Staples and Whole Foods (to name a few) are using chatbots to improve their interaction with their customers. 38 percent of users will not interact with a website if its layout is unappealing. 75 percent of user judgment about your business’s credibility is based on your website’s design. Colors increase web recognition by 80 percent. Updating your website’s design will have a dramatic effect on your brand and revenue. Whether you’re a small or large business, keeping up with the latest web design trends in 2019 can be mindboggling (not to mention time consuming). For help on which trends are right for your brand, contact us today and let one of our web designers with experience in web development be your guide.